Santa Claus has always been an amazing entrepreneur we can all learn from. When you think of history's greatest entrepreneurs your list probably includes Andrew Carnegie, Thomas Edison, Bill Gates, and Steve Jobs but if you stop there you’re leaving out a big name: Santa Claus. Since the third century BC the man, myth, and legend known variously as Saint Nicholas, Kris Kringle, La Befana, Yule Tomten, and Christkindli has been an amazing entrepreneur each and every startup founder can learn from. 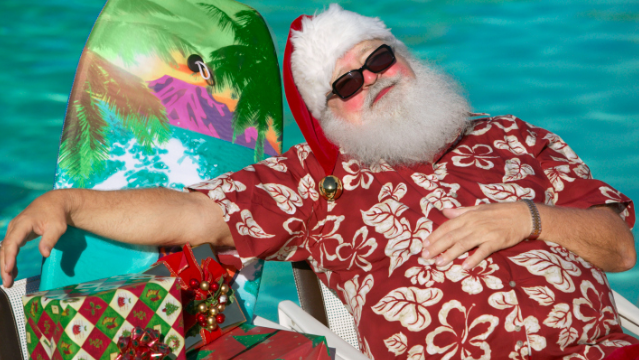 Mr. Claus certainly picked on large market when he decided to embark on his annual journey. There are approximately 2.2 billion customers in the world. And even though not every child believes in Santa, one estimate was at 1 in 5, that’s still a large market that any entrepreneur would love to have. But, a large market isn’t just enough to justify Santa’s entrepreneurial spirit. He effectively segments his customers between who's naughty and nice. What makes this segmentation so successful is its simplicity. If you want to be bad, Santa isn’t going to waste his time on bringing you the toy that you’ve dreamt about all year. As for the children who made the "nice'' list, Santa takes the time to listen to them. Whether it’s a bicycle, game system, or puppy, Santa listens to each and every one of his customers and delivers what each one wants every December 24th. One of my favorite holiday films is the “The Life & Adventures of Santa Claus.” The movie documents Santa’s humble start with just one simple toy—a replica of his pet cat. When the children enjoy the figure, they want other presents. Santa makes good on this suggestion. He begins to diversify his operation so that he can offer children across the world a wide range of presents. Why your business needs to do this: Entrepreneurs are notorious for working excessive hours and rarely taking any time off. In fact, according to a 2013 survey, 43% of small business owners are taking less vacation time than five years ago. It's gotten so bad that even I had to make a New Year’s resolution to take a vacation. Even turbulent economic times can’t stop Santa Claus—not even a financial crisis. 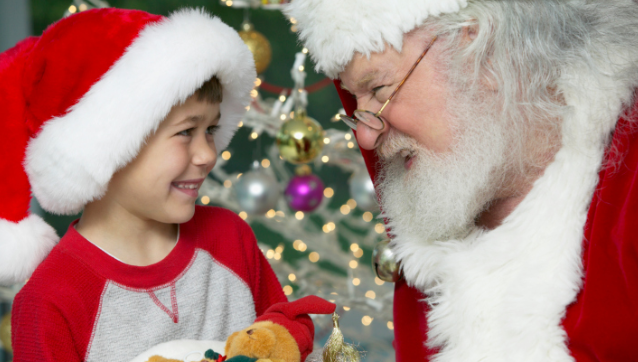 While children may not receive as many gifts as they would like, Santa is still able to give them a present when they wake-up in the morning. It’s the magic of Santa that “keeps them from imagining the worst.” Santa is a necessary part of the holidays, who doesn’t have to rely on huge marketing budgets and is willingly to cut back on the number of presents he delivers when times get tough. Why your business needs to do this: Recession proofing your business is a challenge, but if you want to prevent the economy from impacting your business, you should focus on selling an essential product or service and tighten your budget so that you don’t spend money on items that aren’t needed. You can also embark on a creative guerrilla marketing campaign—just like Jolly St. Nick who doesn’t have to pay for all the free advertising that he is given during the holidays. 5. He's been indispensable for a long time. Why your business needs to do this: How is your business inspiring its customers? What are you offering that makes you a part of their lives? What sets you apart from your competitors? Answering these questions will your business indispensable for its customers. Just like Santa has become one of the most important components of the holidays, your business should make its way into becoming a part of your customers’ everyday lives. Santa Claus didn’t become such a legend on his own. He has a skilled and talented team to backing him. There are the elves making the toys. There are the reindeer pulling his sleigh. Santa, like all successful entrepreneurs, surrounds himself with the right individuals to make his operation run smoothly. Additionally, he has a knack for using the unique talents of specific team members—we all know the story of Rudolph. Without his helpers, there’s no way that Santa could create and manage such an efficient business.